Whether an organization is large or small, its frontline employees have significant influence over customer perceptions. At best, they can deliver memorable experiences that turn customers into loyal brand advocates. However, when interactions go astray—customers may be quick to churn or voice their displeasure to others. In fact, a study from RightNow and Harris Interactive found that 95% of respondents said they would take some kind of action after a dissatisfying experience. More than three-quarters said they had talked about negative experiences with a brand in public. Most of those who said they had churned (77%) cited unpleasant interactions with frontline employees as their #1 pain point. Companies taking too long to resolve a complaint also caused frustration for customers. How can companies equip their frontline teams with the knowledge they need to serve customers? And how can they do that not just one time—but on a consistent basis? Why do some customer-facing teams consistently deliver standout experiences, while others falter? According to an article in Training Magazine, frontline teams typically transverse distinct stages of development. Teams can become stuck at lower developmental stages and not meet their full potential. In this early stage, teams are forming bonds with each other and their leadership. Often, these teams depend heavily on leaders for guidance as procedures and standards become clarified. Leaders may use a highly directive approach to ensure the team understands their roles and process expectations. Although stage one can feel motivating, uncertainty typically sets in at stage two. Teams may feel that processes are not working and that leaders are not managing effectively. Customer focus may be just words to the team—not guiding principles that drive behaviors. Typically, performance standards lack definition and are inconsistent in application. In stage three, leaders and teams work through issues that surfaced in stage two. Performance standards become clearer. Employees start to take ownership of those standards and feel a sense of pride when customers praise their efforts. At this stage, teams enjoy more honesty, a growing sense of mastery, and a stronger sense of shared accountability. When they reach stage four, teams have come together with a common mission to service customers. They consistently meet or exceed performance standards and win positive feedback from customers. In fact, customers began to view the brand and organization as embodying a true customer-centric focus that sets them apart from others. Team members value their work and support one another in their achievement of personal goals. At any phase of development, teams may shift into stage five—a time of change and confusion. This can occur after a leadership transition, a new product launch, or any other significant change. Companies need to take steps to minimize uncertainty to help frontline teams sustain and grow their performance during these passages. For their frontline teams to evolve, companies need to recognize that customer service is a people-centric discipline at its core. While setting measurable performance standards motivates accountability, team members may have differing views on how to achieve them. Fostering a climate of openness, where employees feel empowered to express their perceptions can drive growth. And employees need the flexibility to use good judgment, so that they can always meet the unique needs of every customer. Clearly, performance standards are vital to the success of a frontline team. How can leaders know teams are meeting those standards? They need to ask their customers. Every company needs tools to gather customer feedback after every interaction—and share insights with frontline team managers and CX leaders. Collecting feedback should occur promptly so that customers’ feelings are authentic and relevant. A time-sensitive feedback gathering approach provides clear value. 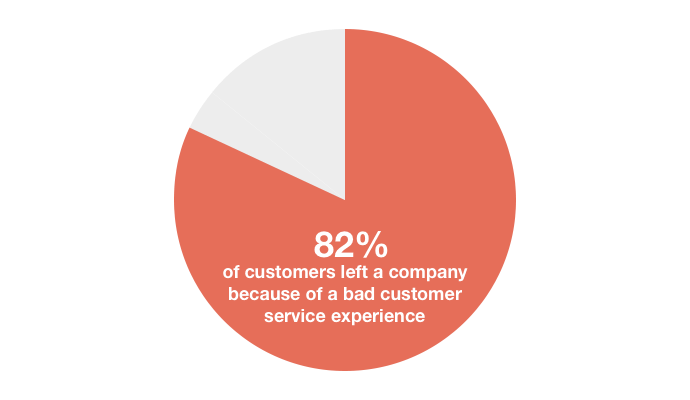 When any customer’s experience was subpar, a manager can take action quickly. He or she can reach out to the customer to understand what went wrong and offer strategies to remedy the situation. In addition, a manager can provide direct coaching to the employee who caused the difficult interaction. This can help eliminate repeat problems in the future. Another benefit of speaking with unhappy customers is that a manager can deepen empathy and understand what customers truly want when interacting with their brand. He or she can use this intelligence to recommend refinements to CX processes that reflect actual customer needs instead of corporate assumptions. Best practice CX organizations empower managers to connect with customers when something goes wrong. However, they do not insulate their frontline teams from customer feedback. They share customer comments—both positive and negative—with customer-facing employees. There are many ways to accomplish this goal. Companies can send out regular internal communications that include excerpts of recent open-ended comments from customers. Another popular approach is having managers share qualitative customer feedback at team meetings. Whatever method they choose, companies must ensure that they do not over-focus on corrective, negative feedback. Too many negative messages can diminish employee motivation. By contrast, sharing positive messages can boost camaraderie and encourage individuals to do their best. Since every company is unique, leaders need to devise their own approaches to share CX feedback with customer-facing employees. And they need creative ways to recognize top performers to help them continue their success and set performance benchmarks for others to emulate. 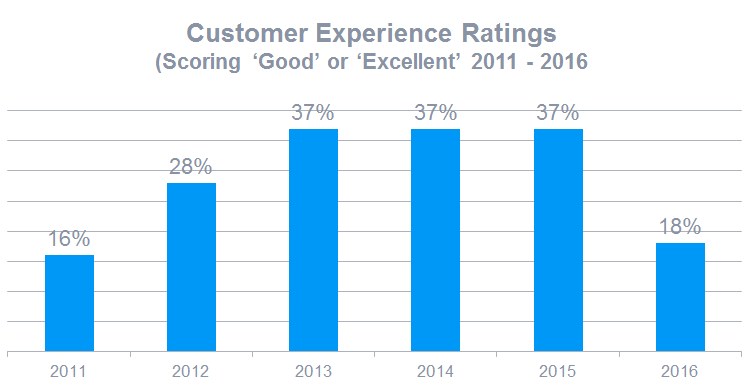 Cross-industry research consistently confirms that executives recognize CX as a key strategic imperative. 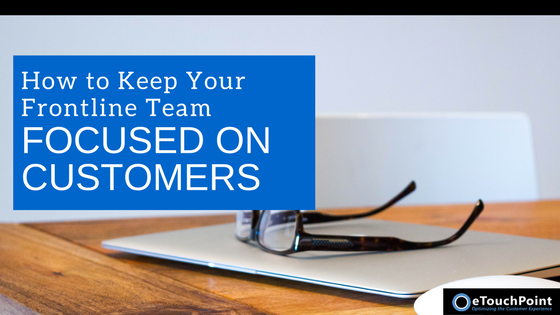 Since frontline employees embody the company every time they interact with customers, organizations need to focus on this critical team. There is no better time than the present. As customers encounter brands that have wholeheartedly embraced CX, they bring higher expectations to every company they encounter. Brands that take focused steps to elevate the performance of their frontline teams can reverse this trend. They need to understand the current stage of development of their team culture and measure performance against clear standards. And they need to ensure that their teams hear customers actual thoughts and feelings to motivate higher levels of success. Those companies that make the commitment can earn customer trust and build lasting, mutually rewarding relationships.